Whether you’ve just taken up dance or you’ve practised for many years, eating the right foods will help your overall performance whilst dancing. Dancers have been called performing athletes, so why wouldn’t you treat your body like an athlete's? Eating the right foods will help to build stamina and strength, and with that you need a healthy balance of protein, carbohydrates and fats. If you're struggling to find out the best choices of foods for dance, take a read below for some inspiration. Vitamins, potassium, fiber, blueberries contain all this goodness. Throw a few in your morning cereal, pancakes or smoothies and you’ll start to reap the benefits. Blueberries are particularly good for protecting cells from cancer-causing free radicals that are generated during exercise. They also contain flavonoids which act to protect cells all over your body, including neurons, the nerve cells that transmit thoughts, feelings, memories and more. This well-known superfood will help keep you in tip-top shape, with research showing that a diet containing blueberries or blueberry extract may enhance memory function, balance and coordination which are essential elements of dance. Avocados are all the craze at the minute. You are in luck as these are loaded with healthy omega-3s -- healthy fats that can reduce pain and inflammation, and have even been linked to fewer injuries in training dancers. They are also packed with more than 20 vitamins and minerals, and tons of fiber to keep you fuller for longer. This high-energy food also contains whopping amounts of fiber, with several studies showing that regular avocado consumption lowers blood cholesterol levels. Protein should be a huge part of a dancer’s diet and quinoa is one of the only grains that is a complete protein. It’s much quicker to cook than rice, absorbs a variety of flavours nicely, and is a great source of energy promoting carbs. Carbohydrates are the preferred source of fuel for all strenuous activity so dancers should be trying to get a good amount of carbs from whole grains such as quinoa. Kale has earned its superfood status because it delivers high amounts of nutrients, lutein, beta-carotene, vitamin K, calcium, iron, folate and vitamin C. Vitamin C serves as an anti-inflammatory, and strengthens the immune system. It also aids collagen production, which plays a major role in joint health, which keeps dancers' joints and hearts in tip-top shape! Kale is also packed with cancer fighting phytonutrients. And has great amounts of vitamin B, as in as little as 3 ounces, a dancer can get 10 percent of her daily B requirement, helping the body to metabolize and produce energy. Broccoli is packed full of potassium and folate which helps prevent anemia and counts towards your daily dose of vitamins A, C and B6. A single serving of broccoli contains 3.8 grams of fiber (yes, really!) which slows down digestion, helping you to feel fuller for longer. This veggie is simple and quick to cook - try lightly steaming on busy weeknights when you don’t have much time to make dinner. Alternatively throw some in a wrap for a big lunch time nutrient boost. This popular green veggie is considered a superfood because of its high levels of vitamins, minerals, and sulfur-containing phytonutrients. Eat as a quick snack before a class for a boost of energy. Yogurt contains protein, calcium, phosphorus, vitamin D, B-vitamins and can contribute to a healthy lifestyle. Active cultures found in yogurt can also help digestion and immune functions. There are lots of yogurts in the market now to choose from. Greek yogurt is tasty and nutritious; FAGE Total’s yogurt has a high concentration of all-natural protein, is all-natural and is low-calorie, helping repair muscles and keep you trim at the same time. With the right ratio of protein to carbohydrates, yogurt, particularly high-protein Greek yogurt, makes an excellent post-sweat-session snack. If you’re lactose-intolerant, try soy yogurt. This will be sure to help psych you up for a high-intensity dance class! Oats are a superb source of vitamins, nutrients, fibre and carbohydrates, while also containing a significant amount of protein and fat when compared to other grains. Your body turns these slowly digested carbs into glucose, helping to fuel you before or after one of our classes, allowing you to experience its energising benefits. The fibre contained in oats provide us with a steady supply of energy which results in you being able to work out longer and stronger. Steel-Cut, rolled or instant – oats can be enjoyed in many ways. Pushed for time in a morning? Why not make an outstanding oatmeal breakfast which is ready for the morning? Have a go at making our Peanut Butter and Banana Overnight Oats which are vegan and gluten-free! Mix until well combined (especially the peanut butter!). Pour the mixture into two separate containers. Refrigerate the oats for at least 3 hours or overnight. When ready to eat, give the oats a good stir. Salmon is one of the best sources of omega-3 fatty acids EPA and DHA and unlike most other fats, omega-3 fats are considered "essential," meaning you must get them from your diet since your body can't create them. A growing number of studies suggest that including salmon in your diet might improve brain function. Omega-3 fats have been found to reduce depressive symptoms, decrease anxiety, slow age-related memory loss and lower the risk of dementia. With dance routines being a huge part of being great at dance, improvements in memory will bring you to the top of the class! 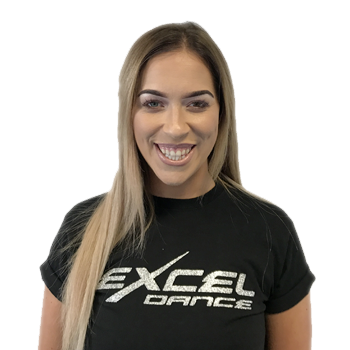 It also tops the charts for nature’s number one source of vitamin D, and it has been proven that a good intake of vitamin D can help to build muscle; something us at Excel Dance love. Salmon is great for repairing well-exercised muscles; with 22 grams of high quality protein per three ounces, this smart catch provides the building blocks your body needs to re- synthesize muscle tissue after a tough workout. Bananas contain fibre, as well as several antioxidants. One medium-sized banana (118 grams) contains 9% of your recommended intake of potassium, 33% of vitamin B6, 11% vitamin C, 8% magnesium, along with many more vitamins and minerals. Simple eh? Bananas are a top choice as a pre-dance snack or even a post-dance snack as they are a quick high-energy food; they provide a quick hit of carbs and nutrients. Getting 9% of your daily potassium needs in one hit will also reduce the probability of getting muscle cramps, making recovery of muscles much faster and a potassium-rich diet can help lower blood pressure along with lowering the risk of heart disease. There are some major health benefits of sweet potatoes. They are high in vitamin B6 and are a good source of vitamin C and D. These are important to help ward off cold and flu viruses, assist in building healthy bones, improve digestion, protect your body against toxins and improve blood cell formation. Ladies, vitamin C has also been found to accelerate wound healing which produces collagen ad therefore helping maintain skin’s youthful elasticity. One great benefit of eating sweet potatoes are that they don’t cause blood sugar spikes. They may taste sweet, but their natural sugars are released slowly into your bloodstream which helps keep a balanced and regular source of energy. They also contain much needed iron for a healthy immune system, magnesium and potassium. Must we say any more?